Chinese foreign direct investment in the U.S. totalled a paltry $ 4.8 billion last year, according to analysts at Rhodium Group. As the research outfit noted in a new analysis, that’s a whopping 84% drop from the $ 29 billion investment seen during 2017. In 2016, Chinese companies invested $ 46 billion in the U.S. Last year’s figure is the lowest since 2011. In fact, Rhodium noted, taking asset divestitures into account leaves the U.S. with negative $ 8 billion in foreign direct investment (FDI) from China during 2018. At the same time, Chinese venture capital investment in the U.S. totaled $ 3.1 billion—a new record. Why the steep decline in Chinese FDI? 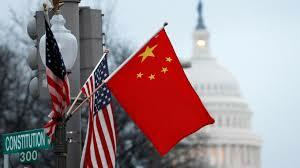 Two reasons: lousy U.S.-China relations, and Chinese government policy. However, Rhodium explained, Chinese policy was also a big factor. Beijing has recently been trying to rein in its debt problem, and part of that involves making its conglomerates sell off their foreign investments and shrink their balance sheets. Will the situation improve this year? “Most hurdles weighing on China’s U.S. investment are poised to persist or deepen,” Rhodium’s analysts opined.